If Tom Wolf is the face of agricultural spraying in Western Canada, then Brian Caldwell is the hands. The two co-owners of Agrimetrix, an agricultural spray research and training company based in Saskatoon, share an overlapping skillset, but they have carved distinctive individual niches. 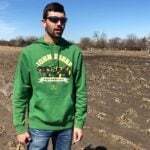 Wolf spends much of his time talking about spraying in a more general sense of what farmers need, improving farmer awareness, and general consumer and public policy issues. He has a public blog and speaks regularly at agricultural conferences. A talk with Caldwell, meanwhile, lands squarely in the hands-on technical realm of the business, as he waxes on about pulse width modulation, the aerodynamics of sprayers, recirculating booms and atomization. Although they work together through each spray trial as it proceeds, when it comes to setting out the fine details of how each trial is designed, Wolf shows no hesitation in explaining who does the heavy lifting. “He (Caldwell) is behind it, quite honestly,” Wolf says. Caldwell and Wolf once carried out their research at Agriculture and Agri-Food Canada, but in 2013, shortly after Caldwell retired and Wolf was laid off, they joined to form a company modelled in a completely different style. Agrimetrix is more client focused than any of the work the pair ever did with Agriculture Canada, Wolf says. Although the federal department conducted some solid research, he says, it tended to work more on the longer-term view. Agrimetrix tends to go where it finds funding and where Wolf and Caldwell have identified a need. The other aspect of the business, the training side, gives them the chance to put a human face to the research work. Wolf views it as a chance to introduce some entertainment into the procedural and detail-oriented explanations that go hand-in-hand with agricultural spray research. A website operated by Jason Deveau and Wolf takes a light-hearted approach to spraying techniques, including sections on “Exploding sprayer myths” and a video on Micron Woman, a tiny super-hero who shrinks spray researchers to micron size so they can observe the behaviour of spray in a crop canopy. 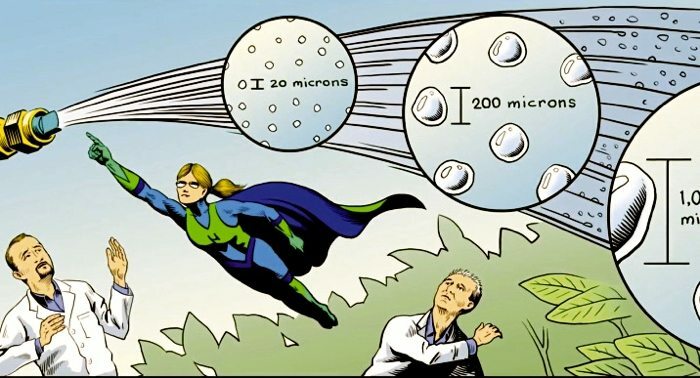 Deveau and Wolf have produced an educational video, Micron Woman, a tiny super-hero who shrinks spray researchers to micron size so they can observe the behaviour of spray in a crop canopy. It can be seen on their website, sprayers101.com. For Caldwell and Wolf, a lot of what farmers need, comes down to productivity and the fundamental ability to find the time for spraying. Wolf says many clients spray four to five times per year, whereas in 1990 most farmers sprayed just once. 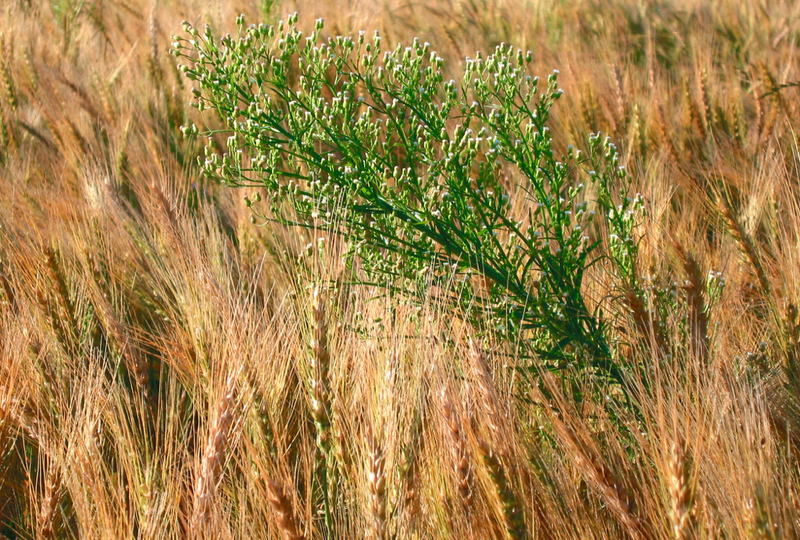 Farmers today conduct pre-seed burn-offs, spray a post-emergent herbicide, a fungicide (once or twice), and a desiccant. Some farmers also do a post-harvest pass with an insecticide, depending on crop and insect issues. “Weather can always be a factor so you have to be productive during a very narrow window,” he says. 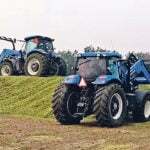 Until now manufacturers have addressed this by developing stronger, faster, higher-capacity sprayers. 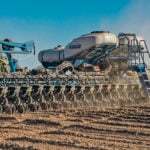 “But we’re saying ‘no, productivity is not speed.’ Productivity is acres per hour, and acres per hour can be achieved with much more than just speed,” Wolf says. 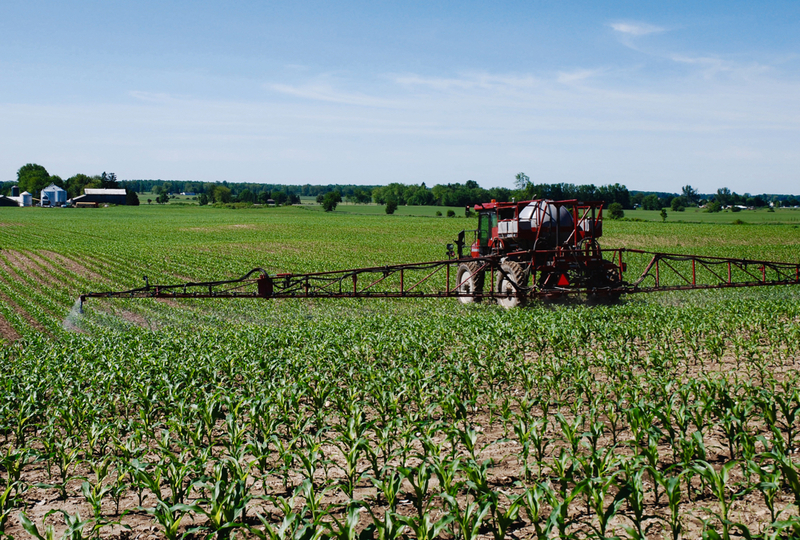 The trick to fitting more applications into farmers’ packed schedules lies in making sure that when they spend time spraying, they are actually in their fields spraying. Wolf says their research shows that 55 per cent of the time farmers’ spraying is actually spent cleaning, filling, fixing the sprayer and travelling to the field, amid the myriad other chores that pop up in a farmer’s day. 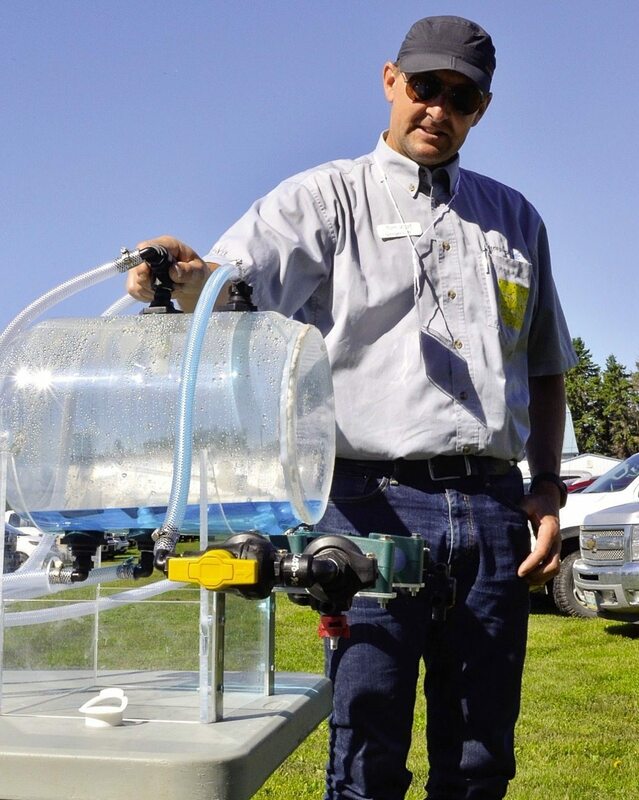 For example, he says having a tender truck with a high-performance pump can reduce spray-tank-filling times from 30 minutes to seven minutes on a 1,000-gallon tank. As well, he says better sprayer cleanout systems or having a second person premix the chemicals while spray operations continue can ease the time pressures. The idea is that by improving productivity, farmers can then spray at slower speeds and lower sprayer booms to do a better job. Wolf acknowledges these aren’t revolutionary concepts, but part of Agrimetrix’s business involves getting farmers and ideas together, he says. For Caldwell, not only is efficient herbicide spraying more cost effective, giving farmers potentially higher yields and less chemical waste, practices such as slower sprayer speeds and lower boom heights also form part of a good public image farmers need to cultivate. 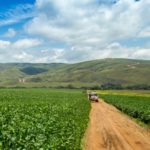 Farmers must be able to demonstrate to the public that they are good stewards of the environment if they want continued freedom from overly stringent regulations that farmers face in many other countries, he says. Caldwell adds that many innovations already exist to help farmers further both causes — to be good environmental caretakers and more efficient with their time and money. “The way we look at it is, we want farmers to be good stewards of the land and that way they won’t have to be regulated. Legislation is expensive and tough to enforce,” he said. The controversy now raging in the United States over dicamba spray drift highlights what can go wrong. 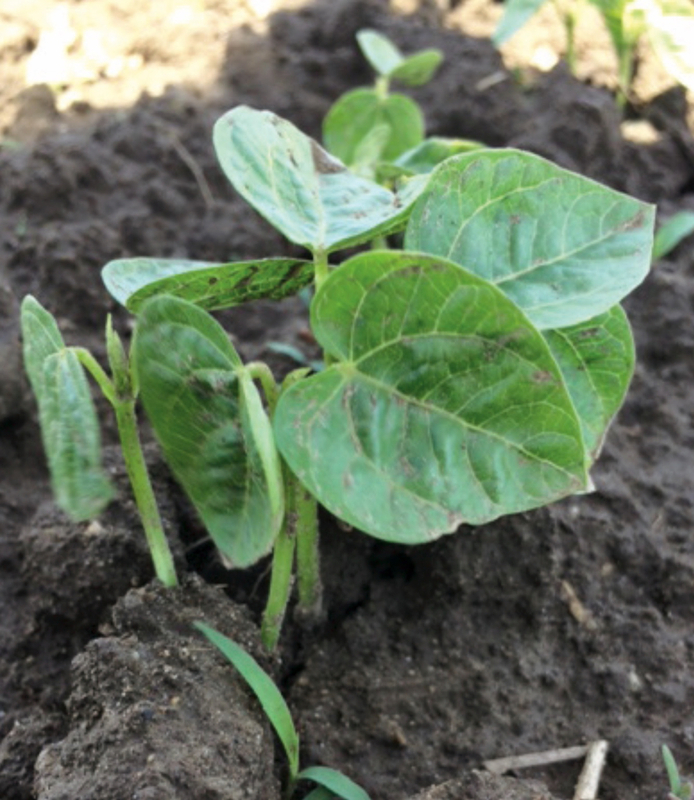 Dicamba-resistant soybeans and cotton were seeded to about 25 million acres in the U.S. in 2017. When the crops were sprayed with dicamba, it led to millions of acres of damage to crops susceptible to dicamba spray drift. 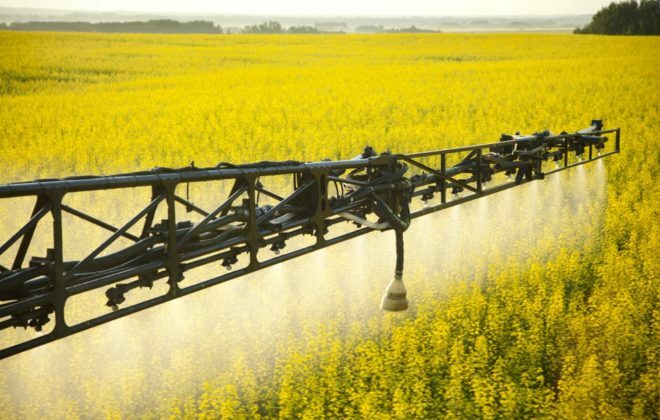 Monsanto, BASF and DuPont all offer dicamba-resistant products and have become targets for lawsuits by farmers, as well as government regulatory clampdowns. The dicamba problem failed to reach the same scope in Canada, but it illustrates how unforeseen problems can lead to restrictive regulations, Wolf says. 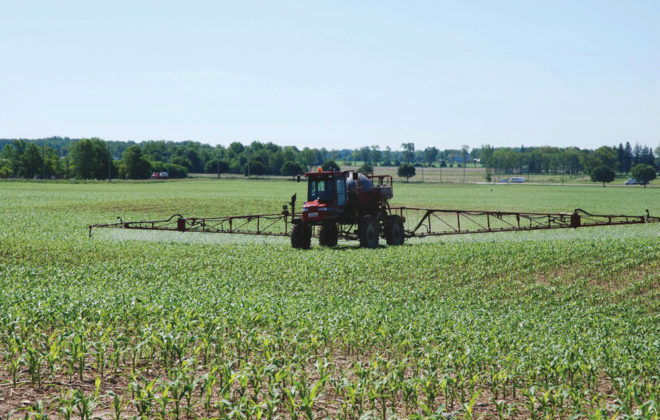 As the general public starts to take notice, he says, more restrictive dicamba-use regulations already being instituted in the U.S., could make their way into Canada. “I hope not. I hope (regulations) continue to be driven by evidence in the field. I wouldn’t want a repeat of the neonicotinoid issue, where Ontario brought in non-science restrictions as a precautionary measure,” Wolf says. Wolf and Caldwell say that while dicamba has dominated the headlines of late, they see other areas as potential research priorities. One is the need for research into getting spray applications to penetrate deeper down beneath the crop canopy. Shatter-resistant canola varieties have ushered in more straight-cutting practices at harvest time. 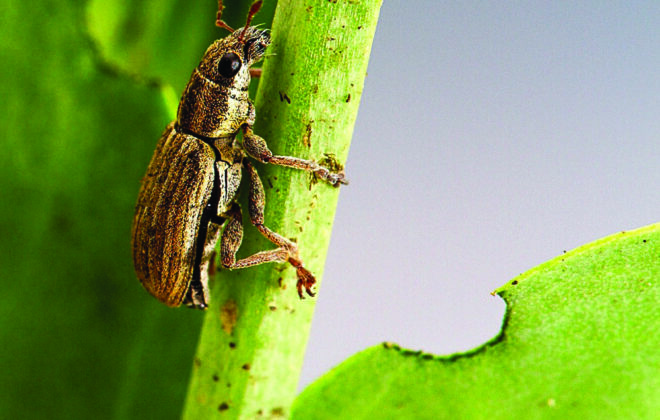 Now to give farmers more effective sclerotinia control in canola, Caldwell says, they need to be able to apply the chemical so it hits the stems beneath the canopy. A similar problem exists with trying to get spray beneath the canopies of lentils and other pulses, such as peas. “It’s virtually impossible to get a spray into the canopy,” he says. Wolf agrees, yet he says few people are currently looking into the issue and that’s a problem because researchers need a diversity of data to better judge the results. Caldwell has been on the case for some time and he advocates for a return to an old method. “One of the methods we should be looking at is air assist again,” he says. 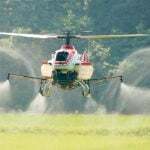 Air assist fell out of fashion in the 1990s because it increased spray drift problems but he believes those problems can be managed today if used under the proper conditions. 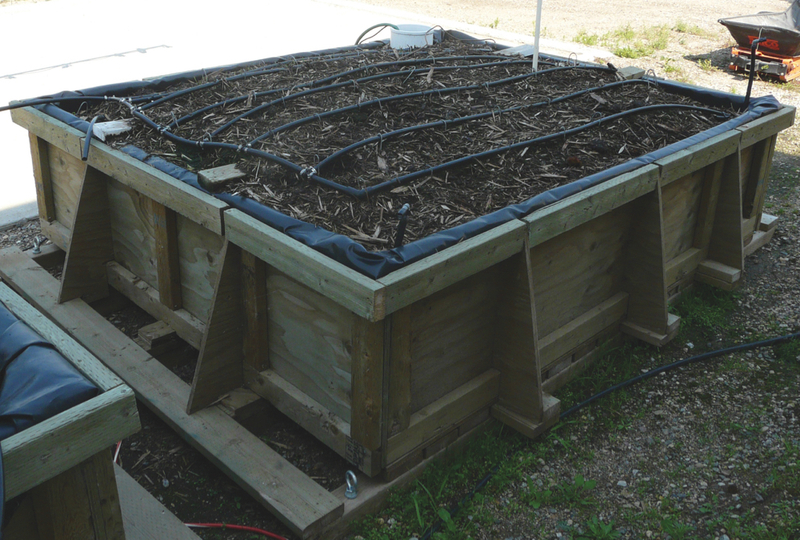 In fact, he says air-blast systems can help spread the canopy to allow the chemical to penetrate underneath. As well, he says research could better refine the systems to make air blasts more adjustable to compensate for speed of travel and wind direction. Caldwell also points to the aerodynamics of sprayers and the renewed use of sprayer shields as areas that could become focal points for added research. He adds that some helpful innovations already exist but aren’t yet available to farmers in North America. 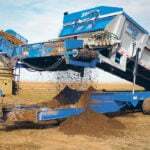 Caldwell notes the automatic cleanout in particular could be a major benefit to Canadian farmers. He says John Deere offers one as an option. The system has a fresh water tank on the sprayer with automated pumps that wash water down through the nozzles as it washes out the tank while the sprayer is moving in the field. As well, Caldwell is a fan of recirculating booms that circulate chemical through the boom arms without spraying and enable the farmer to have the sprayer fully charged when it starts out in a field. When it comes to proper pesticide management and environmental stewardship, technology will only take farmers partway. The rest is on farmers to spray at the right speed, the right time and right boom height, says Tom Wolf of Agrimetrix. “It is sunny today. It’s more than two hours after sunrise. There is a breeze. The breeze is consistent from a direction, so you know where the downwind side is and where the downwind side is going to be for the foreseeable future. “You’ve got a sprayer that’s ready to go and you’ve got a low-drift nozzle on that sprayer, and you’ve got a good tender truck system so you know you can fill fast, so that gives you the opportunity to drive a little slower and lower your boom a little bit because of that. “So, you’re spraying on a sunny day with a slight breeze and you’re not going to worry too much if it gets a little too windy. 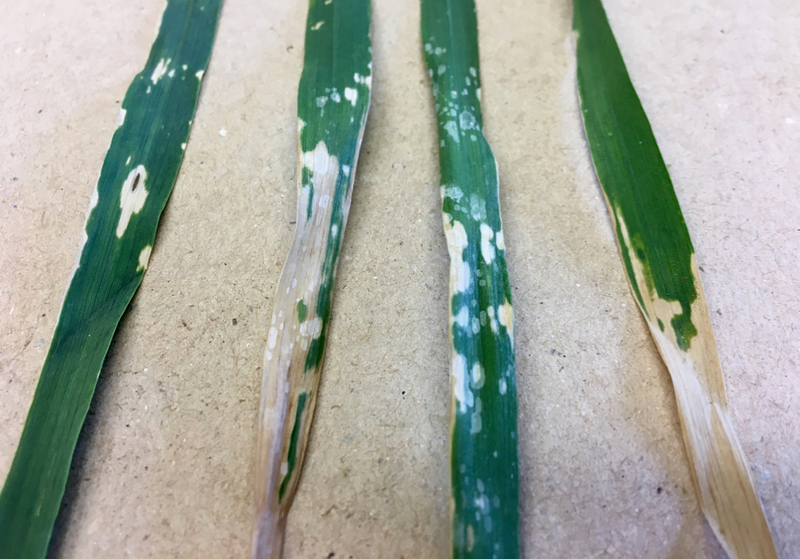 And the reason you’re not going to worry about that is because you have low-drift nozzles on your sprayer that protect you from drift, even when it’s breezy.